The Ringworld: a landmark engineering achievement, a flat band 3 million times the surface area of Earth, encircling a distant star. 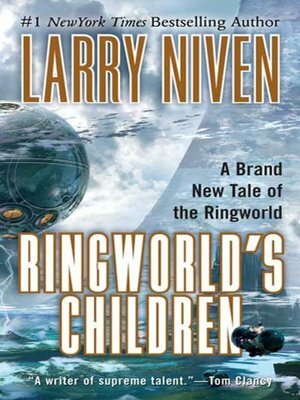 Home to trillions of inhabitants, not all of which are human, and host to amazing technological wonders, the Ringworld is unique in all of the universe. Explorere Louis Wu, an Earth-born human who was part of the first expedition to Ringworld, becomes enmeshed in interplanetary and interspecies intrigue as war, and a powerful new weapon, threaten to tear the Ringworld apart forever. Now, the future of Ringworld lies in the actions of its children: Tunesmith, the Ghould protector; Acolyte, the exiled son of Speaker-to-Animals, and Wembleth, a strange Ringworld native with a mysterious past. All must play a dangerous in order to save Ringworld's population, and the stability of Ringworld itself.